Papers are invited in English, focusing on verbal and visual representations of Western Esotericism from late Antiquity to the present age. Please send the title of your proposed 20 minutes' paper with your affiliation and a short abstract via e-mail to György E. Szönyi: by November 15, 2010. SZEGED, declared a free royal town in 1246, is the fourth largest city in Hungary, a college-centre, with many institutions of higher and secondary education, museums, and theatres. The University, established in 1921, is the second largest in Hungary, with about thirty thousand students. After a devastating flood in 1879, the inner city was rebuilt in neo-classical, eclectic, and spectacular Art Nouveau styles. Situated on the River Tisza, Szeged is also famous for its spas, and is the home of paprika. The city is connected by direct motorway to most parts of Europe, and can be reached in two hours by train from Budapest's Ferihegy International Airport. 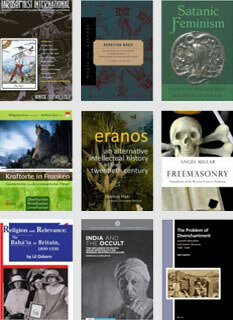 Nominations are invited for the second biennial ESSWE PhD Thesis prize, awarded by the board of the European Society for the Study of Western Esotericism. The prize will be given for an outstanding European PhD thesis completed between 1 January 2009 and 1 March 2011 on any aspect of Western Esotericism (broadly conceived). The thesis may be European in the sense of having been submitted at a university in Europe, or in the sense of having been submitted by a European citizen at a university anywhere in the world. The thesis must have been approved formally by the nominee's thesis committee, but the degree need not have been formally awarded. The prizewinner will be notified in May 2011 and will receive an award of €500 and a certificate, to be presented at the ESSWE conference in Szeged, 6-10 July 2011. 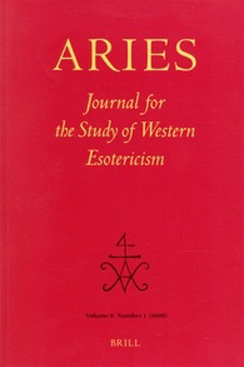 The thesis will also be recommended for publication in the ARIES Book Series, though the final decision on publication will be taken by the ARIES Book Series editorial board, not the Prize Committee. If it deems that no thesis reaches an appropriate standard, the Prize Committee will not award a prize.